1865 was the year in which Charles Stewart Parnell entered the British House of Commons, Andrew Johnson, 17th President of the United States died and Gilbert & Sullivan’s first operetta had it’s first production. It was also the year in which Charles Peterson, a master pipe-craftsman from Riga in Latvia, joined the Kapp Brothers in their retail shop at 55 Grafton Street, Dublin. The result of this partnership of talent and resources rapidly became a household name, a prestige product whose lustre, over a century later, is brighter than ever. 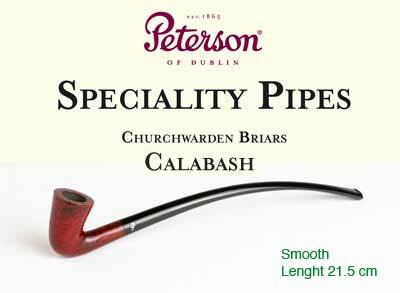 Just as certain branded products are renowned for top excellence in their respective spheres, in the world of the pipe-smoker that is the role of the Peterson pipe. Charles Peterson was a master craftsman with a feeling not only for the subtleties of the materials with which he worked, but also for the tastes and preferences of the discerning pipe smoker. He believed that a fine pipe is not only a source of lasting pleasure but the expression of a man’s personality. And since every man is an individual, a good pipe will reflect his individuality in the character of the briar and the skill with which it is fashioned. Mr Peterson understood this essential principle when he began making pipes in Dublin in 1865. Peterson invented his System pipe in 1890 and his Patent Lip mouthpiece in 1898. Peterson’s Patent Pipe went on to receive several industry awards, advertisements confidently proclaiming it to be the pipe of the century. It was not long before the Peterson name was to hang literally on the lips of thousands of sophisticated smokers around the world. The Peterson pipe was embraced by politicians, business leaders, members of the clergy and armed forces, sportsmen, artists and writers. 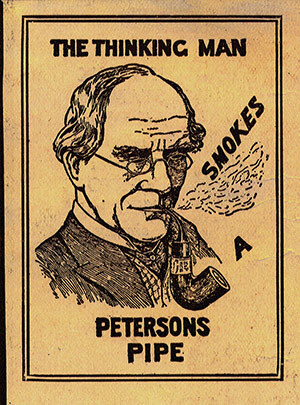 In fact once author Conan Doyle had fashioned super-sleuth Sherlock Holmes complete with curve-stemmed Peterson, the pipe’s popular image as the ‘thinking man’s smoke’ was here to stay. Also in 1898, Kapp & Peterson became a public company. In 1974 Kapp & Peterson became part of the newly formed Peterson Tennant Group which in turn was taken over by the James Crean Group in 1982. 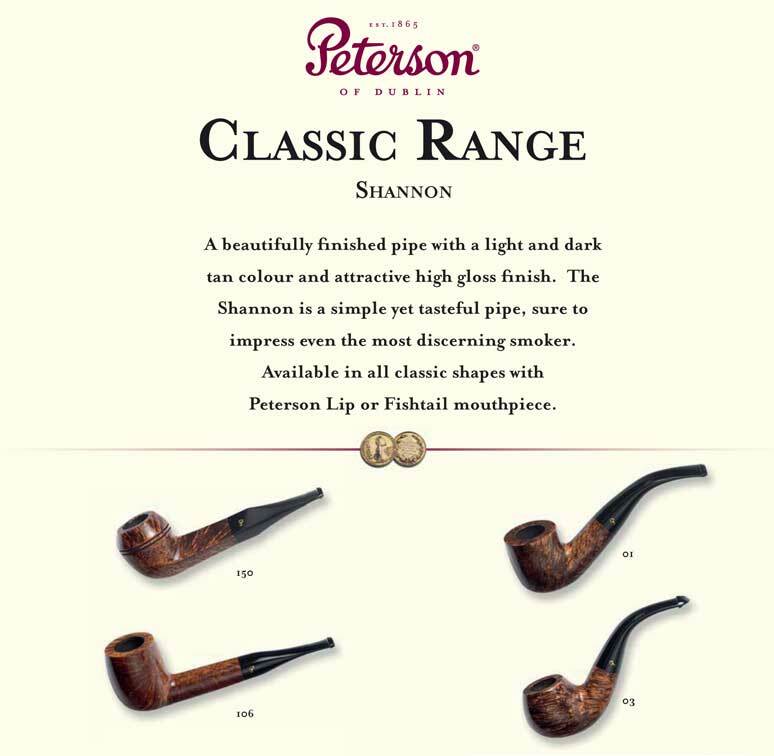 In 1992 the company was sold again and is now owned and run by Tom Palmer who has added a superb range of Pipe Tobaccos, Cigars, and Accessories to the Peterson portfolio. Kapp & Peterson export all over the world and have done so for over a century. Approximately 90% of their production goes to some 60 countries. The main export markets being U.S. China and continental Europe. To sell successfully on such a scale is remarkable in itself but this is not the whole of Kapp & Peterson’s achievement. They are makers of an excellent and elegant product turned out by skilled craftsmen guided by traditional values and obeying the highest canons of quality, utility and design, - - - - a standard- bearer for Irish merchandise in markets throughout the world. 1865 - Business formed by Messrs Kapp & Peterson. - The original Peterson Factory was in King Street – it backed onto 55 Grafton Street. 1902 - The factory moved to 113 St. Stephens Green. 1890 – The introduction of the Peterson SYSTEM smoking pipe. 1972 – Factory moved to Sallynoggin in January 1972. 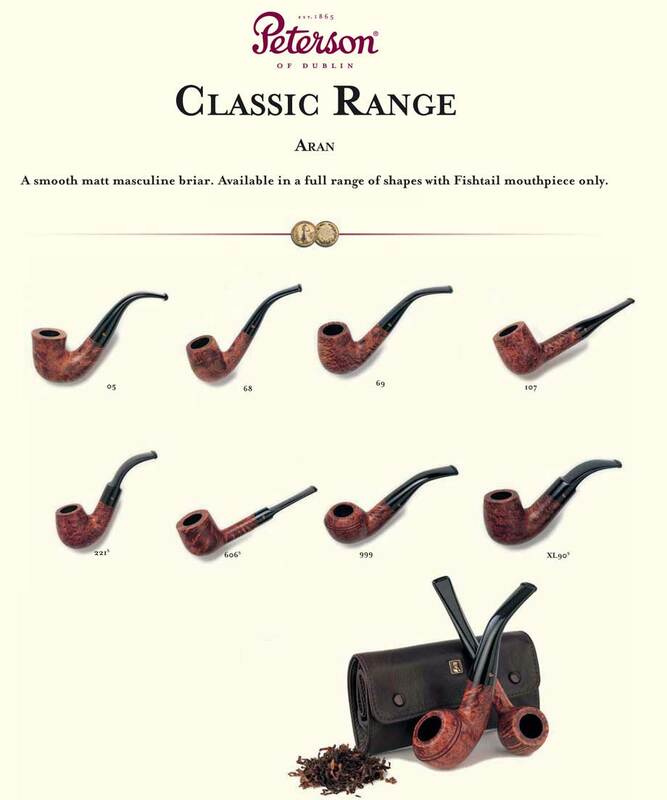 1987 - Introduction of the first Sherlock Holmes Pipe “the Original”. 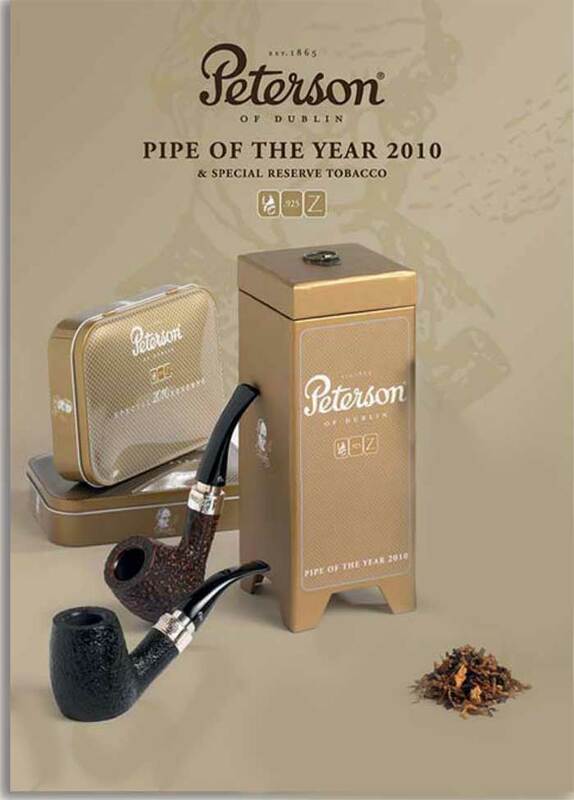 1995 onward - A wide range of Peterson tobaccos, cigars and accessories are launched annually.